This soup has a story-literally. I teach first grade and one of my students wrote a story about going to the store and buying pistachio soup. I was so curious about this soup, since I’ve never seen it on the shelves myself, that when his mother came in to volunteer, I asked her about it. She told me that they hadn’t actually bought it, but made it at home. It’s a recipe from Iran and she graciously shared it with me along with a few others I’m anxious to try soon! 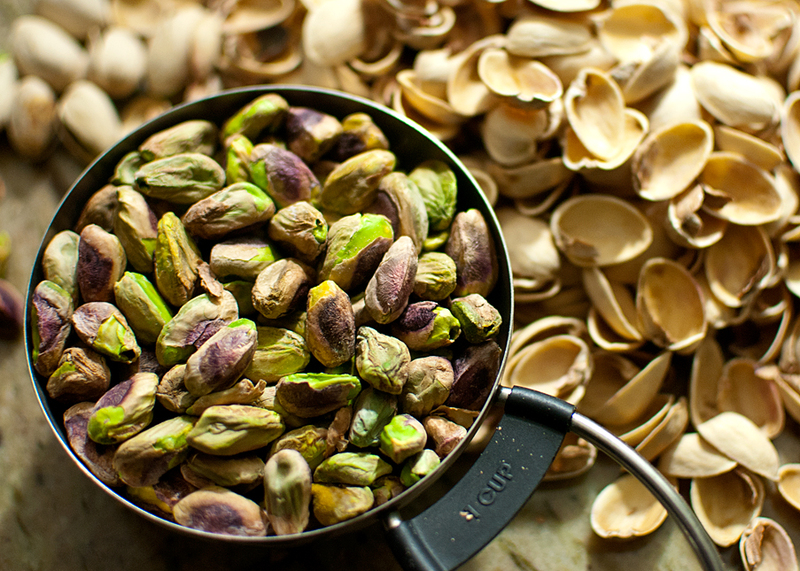 The longest part of this recipe was shelling the pistachios, so prepare yourself for that. I don’t really mind doing it though because they are a beautiful nut and I did snack on several to keep me energized. The other ingredients were fairly simple but surprising. Seville orange juice is not what I would have expected in a nut soup, but it added a nice finishing note. If you don’t have Seville oranges, which I can never find, you use a combination of orange and lime juice to add that sour note. -Grind pistachios in food processor or grinder. In a heavy pot, heat butter or oil over medium heat. Add shallot, leek and garlic. Gently stew them and cover until translucent. Add rice flour and stir to cook for 1-2 minutes. Add chicken stock and bring to a boil. 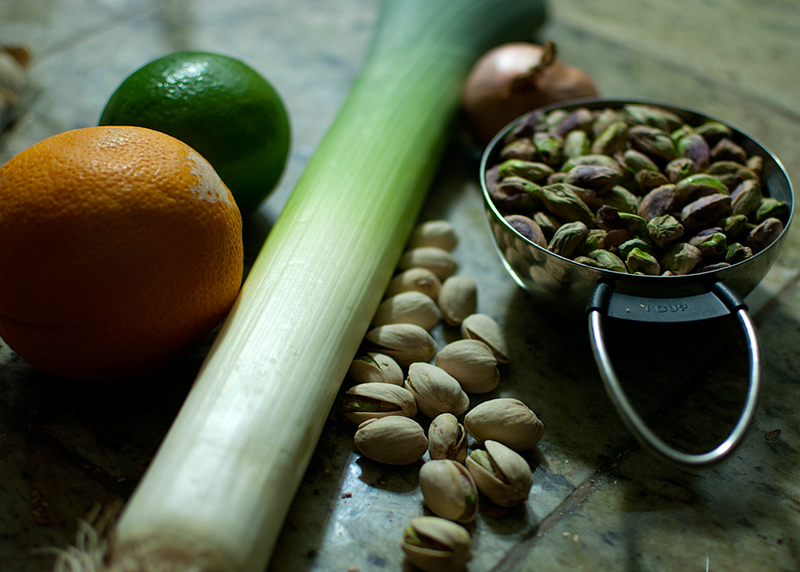 -Add pistachios, salt and pepper and reduce heat. Simmer over low heat, stirring occasionally for 20 minutes. -Remove from heat and add orange juice. Taste and adjust seasoning. 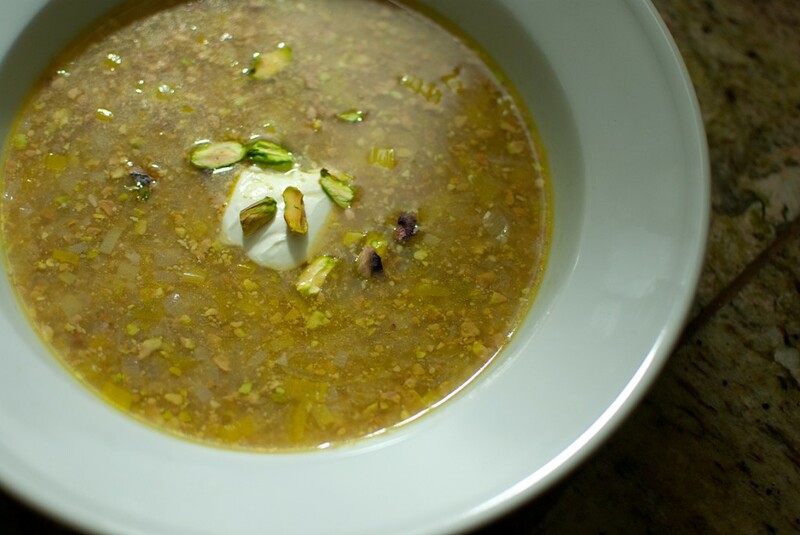 Serve with a dollop of creme fraiche and slivered pistachios on top. Can be served either hot or cold and can be made with hazelnuts or almonds.